This Resume Consultation service is your first step to getting a cruise ship job. Will your resume impress a cruise line recruiter enough for you to be offered an interview? A cruise line recruiter or a hiring manager may spend less than 10 seconds scanning over a resume and if yours doesn’t catch his or her attention in that time, it may not even get a second look. A resume tailored to the cruise industry and a specific cruise ship job is vital to getting noticed by a cruise line recruiter. I will prepare a customized Cruise Job Consultation Summary for you based on an evaluation of your current resume, qualifications, skills, and personality. This summary comes complete with recommendations to increase your cruise job opportunities. I will give you tips on how to add the wow factor to your resume and impress a hiring manager who has hundreds of other resumes for the same position? In addition, I will recommend which cruise ship jobs you are best suited for and where you should apply. Our products and services are only available for purchase through the website, www.Etsy.com in the store CruiseJobResources. Upon paying for your Resume Consultation, you will work directly with me in a personalized and collaborative process. PLUS this resume service includes 30 days of email support. ►When you place an order, you will see an option on the Etsy.com website, labeled “Message to Seller”. In this box, please provide me with an email address to contact you so I may email you within 24 hours of your order being placed. ►Once you have purchased your Resume Consultation service, you will receive a Resume Consultation Questionnaire which I need you to complete. Please try and answer all questions with as much description as you can. This will help me to get to know you better and as a result be able to provide you with a thorough Cruise Job Consultation Summary. ►Please send me the completed questionnaire along with a copy of your current resume. Use the email address stated at the top of the questionnaire. 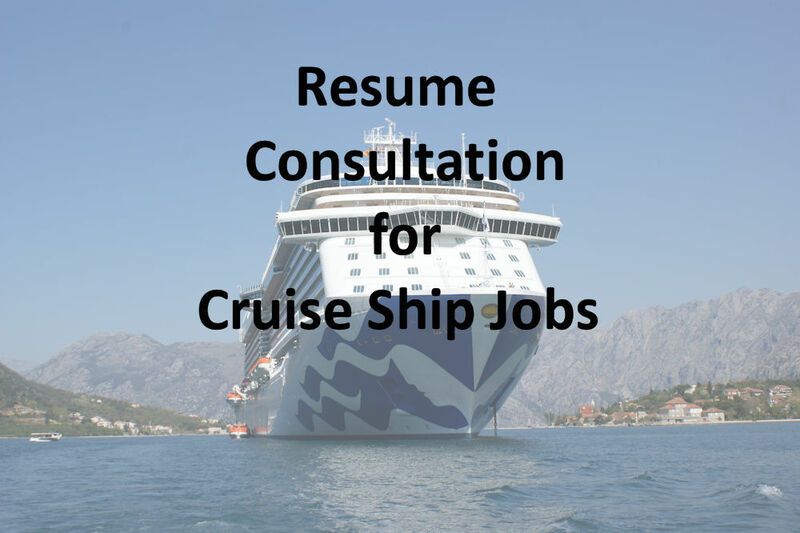 ▬The Cruise Job Consultation Summary is the final product and is a digital file in Word format. It is not a physical item and it will not be shipped, only sent by email. ▬This Resume Consultation service entitles you to email me with your questions for 30 days. 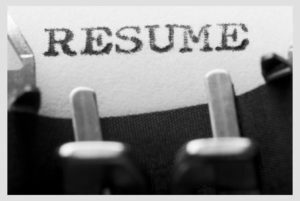 Please note that the Resume Consultation service is not a resume writing service. Additionally, I do NOT make edits to your resume, I only make suggestions for what you should change. If you require me to write a resume for you, please refer to my other listing, Customized Resume for $75. Within 48 hours of your purchase, I will send you an email to confirm your order. It generally takes 2-3 days for me to completely review your current resume and your completed Resume Consultation Questionnaire before emailing you your Cruise Job Consultation Summary. Once you have paid for your service and have forwarded your resume and questionnaire to me, there will be no refunds. You acknowledge that my time communicating with you, reviewing your materials, or providing services is compensable. However, I will offer you 30 days of email support. For more information, please refer to the Terms and Conditions page.